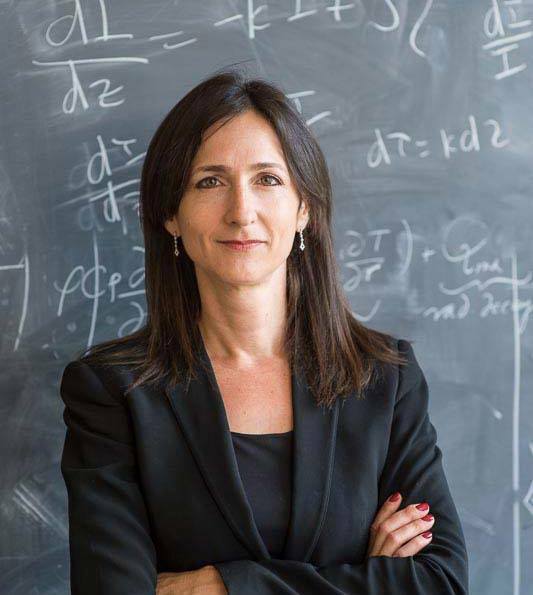 In November of 2014, MIT's Dr. Sara Seager answered questions about exoplanets, the search for life, and the next technologies (like JWST!). Here are some exerpts. A: Biosignatures in exoEarth atmospheres will not prove life. Enough planets with biosigs will be convincing. A: Biosigs can have non-life causes but some are more robust than others. O2 is still a favorite. A: Planned 20+30 m optical telescopes GMT/TMT/ELT will have a shot at observing several Earth atms transiting M stars. A: Yes, but ground observatories are limited by the blurring effect of Earth's atmosphere. At some point space is easier. A: Some superEarths around M stars already known. TESS (launch 2017) will find many more http://tess.gsfc.nasa.gov.Â #search4life on superEarths transiting M stars will be done with #JWST. A: #JWST will reach down to small rocky planets transiting M stars. Hubble works mostly for hot giant planets. A: For #search4life predominantly rocky planets with a thin atmosphere. Massive rocky planets OK if they have thin atmospheres. We thought rocky planets were limited to 1.75 Earth masses until Kepler 10 c at 17 Earth masses. A: In addition to a thin atm composition is important. Venus's atm might be OK if it was far from the star and colder. A: Exoplanets are so diverse we are open to any possibility for exoplanet atmospheres. A: Yes, based on the depth of spectral features a thin atmosphere can be identified --- with good enough data. A: Kepler should have found moons if they are large and plentiful. None found, so we may have to wait awhile. A: #JWST will inaugurate "en force" the characterization of rocky exoplanets. The most exciting discovery by #JWST would be biosigs in a rocky exoplanet atmosphere--but we have to get lucky. A: Astronomers are trying to find habitable planets all possible star types but often only few are accessible. A: Beyond JWST studies for a UVOIR 10 m telescope are ongoing but it will be awhile. For exoplanets UV is so important for understanding the host star UV radiation that destroys biosignature gases. A: We need to observe the atmosphere in detail for "false positives" might need next generation telescopes. A: Hopefully others are working on exoplanet probes but for now the search for exoplanets needs to stay focused. A: Speculation is several planets in their star's HZ. But no planets are known for sure that would be life compatible. A: #JWST has a 5 year lifetime but hopes for 10. Limited by fuel and other things. A: For now we can approximately but not accurately inventory exo atmopsheres. #JWST will nail giant planet atmospheres. A: If a nearbyciviliation exists and has $ and space capability like ours they could see O2 and speculate on life.